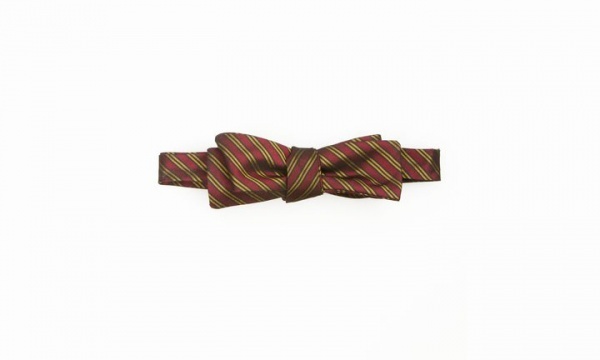 Band of Outsiders goes prep with this burgundy bow tie in a repp stripe design. Featuring alternating yellow tone stripes, this charming silk bow tie is a top notch choice for younger readers who might be seeking to add a bit of that schoolboy charm. Available online now.